Will Game of Thrones actor Kit Harington appear in Call of Duty: Infinite Warfare? Yes. As a villain. Activision sent over a press release confirming Kit Harington will portray “the face of the enemy” in the new Call of Duty game. The developer is also working closely with director Guy Ritchie, who directed the live-action trailer “Surprise” for Black Ops 2. “Guy Ritchie is a friend of the franchise, so it was great to have him back to work with us, assisting in bringing Kit Harington’s character to life in Infinite Warfare,” added Dave Stohl, studio head at Infinity Ward. “It meant a lot to us to develop the role into everything it could be. We’re excited about the performance Kit delivered and can’t wait to get it out to the public. A quick behind-the-scenes sneak peek of Kit i a motion capture suit can be found on the Call of Duty Facebook page. 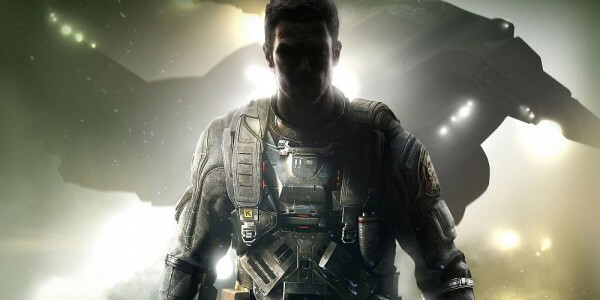 When Activision and Infinity Ward first revealed Infinite Warfare, news was particularly slim regarding the game’s main cast of characters. We were shown one scene featuring two of the characters seen in the the first trailer, but that was it. It seems this year’s big star is none other than Game of Thrones actor Kit Harington (Jon Snow). A new video, via Mashable, shows the Englishman wheeled into a motion capture rig. This particular contraption, as noted by Mashable, was used to bring NFL star Marshawn Lynch’s likeness into Black Ops 3 last year. This, of course, could simply be a capture studio available to plenty of studios, not just games, but it does raise some eyebrows. According to Entertainment Weekly, whatever this project is, we’re going to hear more about it this week. Since 2014’s Call of Duty: Advanced Warfare, we’ve come to expect big TV and film starts to have leading roles in Call of Duty games. Advanced Warfare featured Kevin Spacey, last year’s Black Ops 3 had Christopher Meloni – albeit in a smaller role than that of Spacey’s, and >Infinite Warfare could continue this trend. You can watch the very short video through the link. Call of Duty: Infinite Warfare is due out in November.